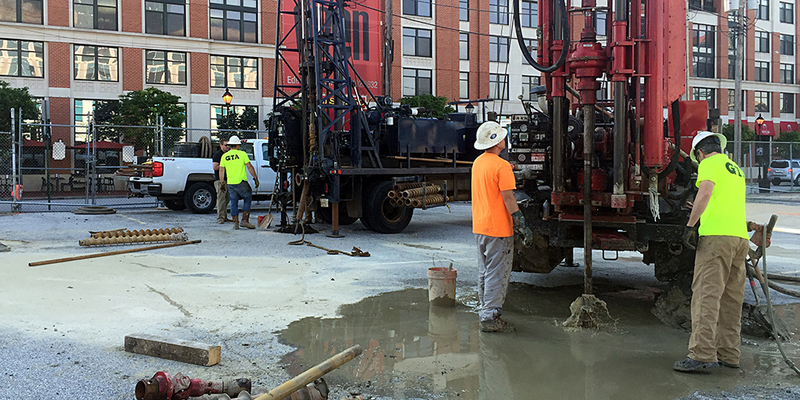 Standard Penetration Test Borings | Geo-Technology Associates, Inc.
GTA maintains a fleet of truck-mounted and ATV-mounted drill rigs to service projects throughout the mid-Atlantic region and beyond. These drill rigs are equipped with 4-inch and 6-inch diameter hollow stem augers to perform the boring and permit Standard Penetration Testing at various depths within the subsurface material. Standard Penetration Testing involves driving a 2-inch outside diameter (O.D. ), 1⅜-inch inside diameter (I.D. ), split-spoon sampler into the soil a distance of 12 inches after a seating interval of 6 inches using a 140-pound hammer falling 30 inches. The number of blows required to drive the sampler through the 6- to 18-inch interval is termed the SPT N-value and is indicated for each test interval on the test boring logs. The SPT N-values are reported as the number of blows per foot (bpf) of sampler penetration. 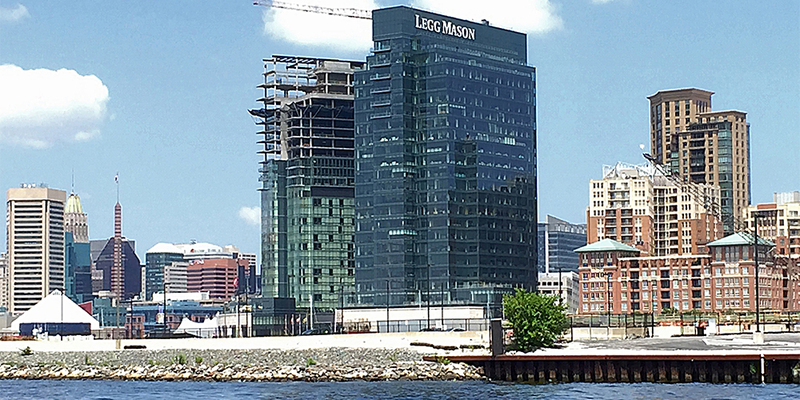 This project is a 23-story, ≈750,000-SF, mixed-use building with retail, parking, apartments and condominiums, located within the Inner Harbor East area of Baltimore City. 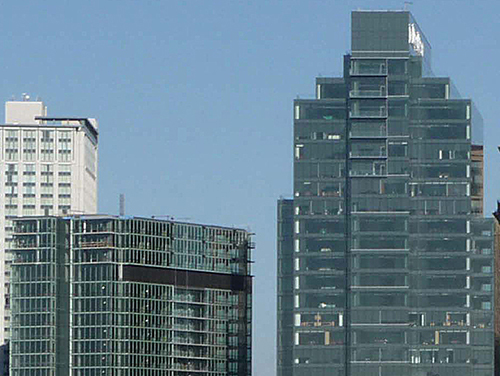 GTA provided subsurface exploration, geotechnical engineering, Phase I and II Environmental Site Assessments, and construction observation and testing services and environmental consulting during construction of the building’s foundation. GTA’s geotechnical field exploration included 58 soil borings to evaluate subsurface conditions at planned drilled pier foundation elements. Each boring was drilled using hollow stem augers to auger refusal, which was encountered at depths approaching 90 feet. Standard Penetration Test (SPT) borings were performed at intervals of 5-feet throughout each boring. Upon encountering refusal, 5 to 10-foot rock core samples were collect from 31 selected borings. An additional 18 boreholes were drilled to depths approaching 62 feet for the installation of rod extensometers. Each extensometer included two settlement indicator rods, fitted with anchors at the bottom. The rods were installed to approximately 30 feet and 62 feet in each bore hole. The rod extensometers were grouted in place with a cement-bentonite grout designed to be similar in strength to the soils encountered during drilling. The upper terminus of each extensometer element was fitted with a reference head and electronic measurement equipment, and protected with a waterproof steel vault. GTA connected 14 settlement monitoring elements to a culvert, which was within 5-feet of planned drilled foundation elements. The monitoring points were installed to detect any settlement of the structure during the drilling and installation of foundation piers for the proposed building. The Culvert is an approximately 6-foot-wide by 3-1/5-foot-high masonry culvert made with brick masonry liner surrounded by approximately 3-foot-wide buttress made with dry laid granite stone. The structure is supported by timber decking on timber piles, approximately 22 feet long. GTA cored the asphalt and cobble-stone road base, and hand excavated to the top of the culvert. The brick surface of the culvert was carefully cleaned, and a 1-1/2” steel rod was connect to the brick structure with epoxy. A PVC sleeve was placed over the steel rod to ensure that vertical movement was not inhibited by coming into contact with adjacent soils or debris. The annulus between the PVC sleeve and the excavation was filled with course sand, and the upper terminus was competed with a waterproof steel vault. 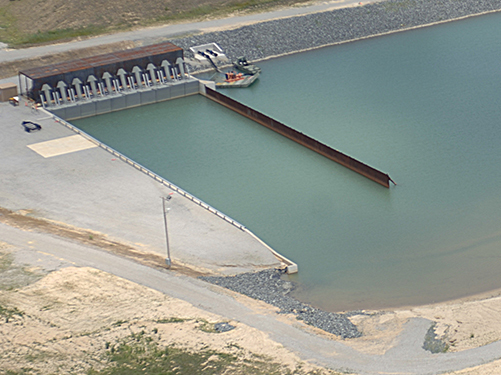 GTA has provided drilling, geotechnical and environmental consulting, and construction observation and testing services for numerous projects at Aberdeen Proving Ground. For this project, GTA provided drilling services for the new 400’ x 100’, 20‑foot‑deep, excavated pond with a 6-foot wave machine for testing amphibious vehicles for beachfront assaults. 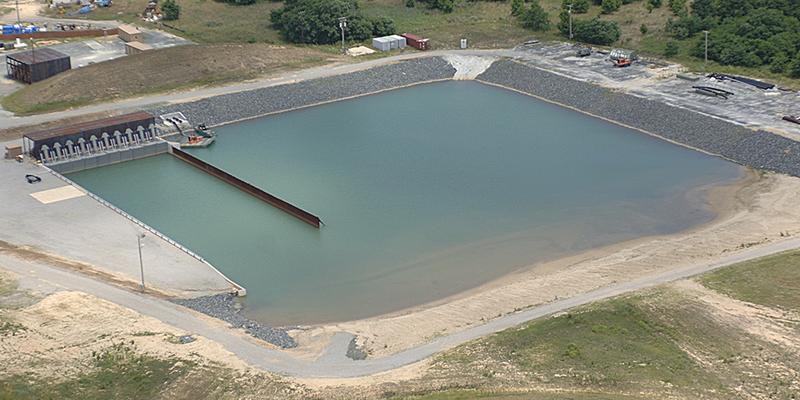 GTA services included subsurface explorations and preparation of geotechnical recommendations, cost estimating, design of a 32-foot-high, reinforced earth retaining wall, and slope stability analysis for the dynamic forces imposed by underwater charges of up to 500 pounds of TNT equivalent. Piezometers were installed prior to design, to depths approaching 50 feet, to evaluate groundwater levels. Piezometers were also installed after construction to evaluate the effect of explosives testing on the level of subsurface water. Installed instrumentation paddles containing electronic transducers and other sensors specifically designed and manufactured to evaluate the forces on the soils below the pond during explosive testing. The paddles where installed with a truck-mounted drill rig mounted on a barge. Worked directly with APG engineering staff to design a “bayonet” style installation system that allowed the drill string to be disconnected from the instrumentation paddle after it was installed to the proposed depth below mud line. 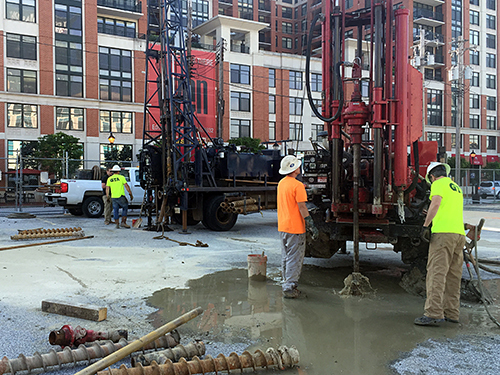 GTA performed over 100 soil and rock core borings to depths approaching 130 feet for the new Four Seasons hotel and condominium complex and Legg Mason office building located directly adjacent to the harbor waterfront. 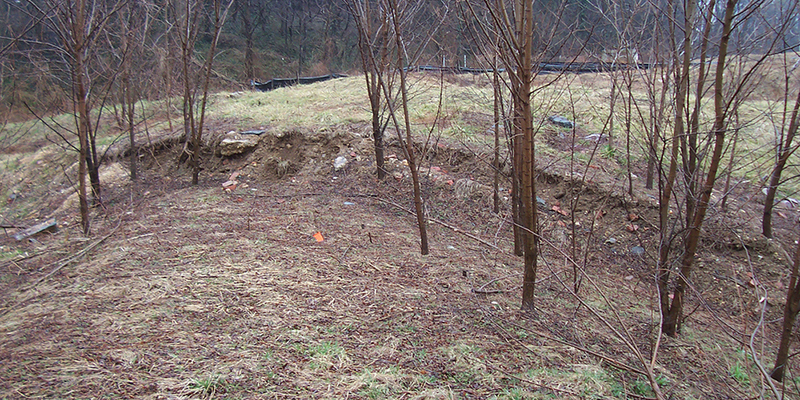 Work also included residual soil and rock permeability testing, and installation of observation wells. The new structure features a 22-story hotel and condominium tower encompassing 455,000 SF (with capacity of construction to 45 stories), a 26-story, 600,000-SF office tower, and a five-story below-grade parking garage, requiring a 24-hour dewatering system, due to its close proximity to the waterfront. GTA was retained as an expert witness to evaluate the alleged slope movement which impacted an existing WMATA railroad track and bridge abutment. This evaluation included subsurface explorations, installation and monitoring of instrumentation, and slope stability analyses to evaluate the apparent movement of a steep fill slope over native marine clays. The explorations included up to 100-foot deep Standard Penetration Test (SPT) borings by hollow-stem auger and mud-rotary methods, including undisturbed (Shelby Tube) samples. Laboratory testing, including Direct Shear and Torsional Shear tests, was performed to evaluate peak and residual shear strength parameters of the native, overconsolidated clays, along with other soil parameters. Instrumentation included inclinometers to evaluate the lateral movement of the slopes and groundwater monitoring wells to assess the levels and variability of the groundwater. 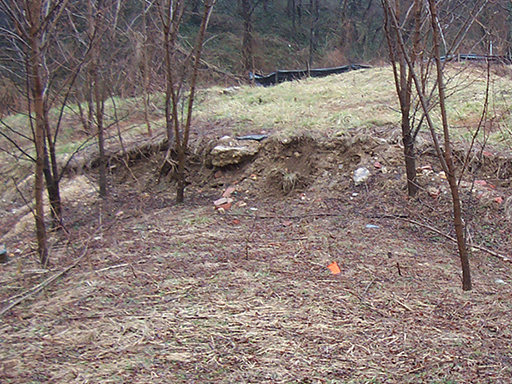 Slope stability analyses were performed to evaluate the factors-of-safety against global slope failure and to assess the likelihood that slope movement resulted in damage to structures near the toe of the slope. GTA also provided recommendations for increasing the stability of the existing slope by regrading and incorporating drains to lower the groundwater elevations.